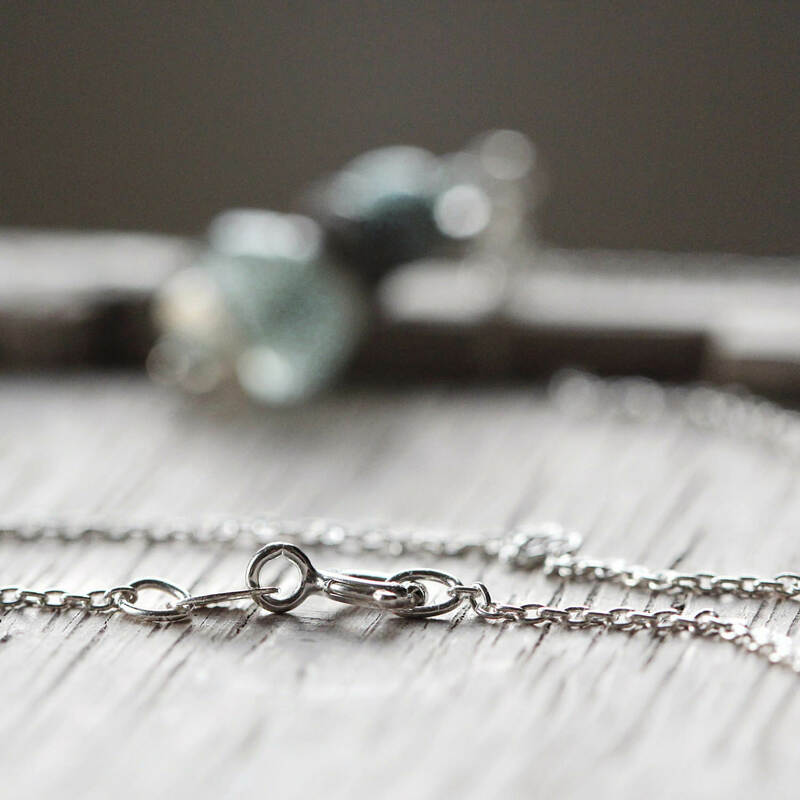 Simple, stylish and elegant, this dainty aquamarine and silver necklace will bring easy elegance and shades of the sea to your days and nights. 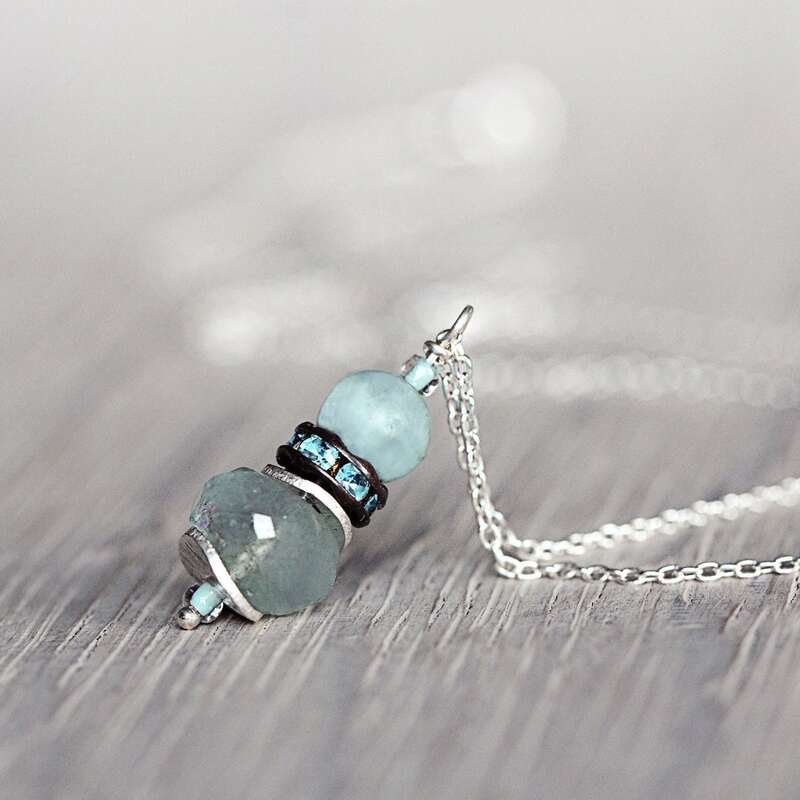 It features a handmade pendant fashioned from a sparkling, top quality, aquamarine stone paired with sterling silver, blue crystal and a smaller smooth aquamarine stone. This necklace is available in various lengths - please select from the drop-down option menu. Finished with a sterling silver spring ring clasp. It looks wonderful worn alone, or try it layered with longer and/or shorter necklaces for your own uniquely tailored look. 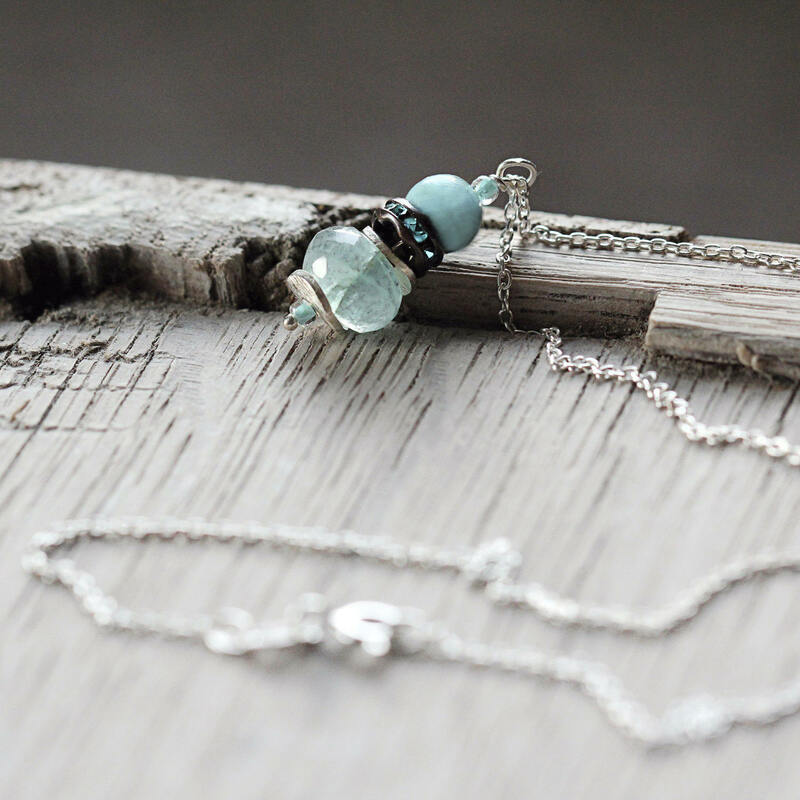 It hangs especially well with Artique Boutique's other aquamarine necklaces with which it was designed to mix and match. 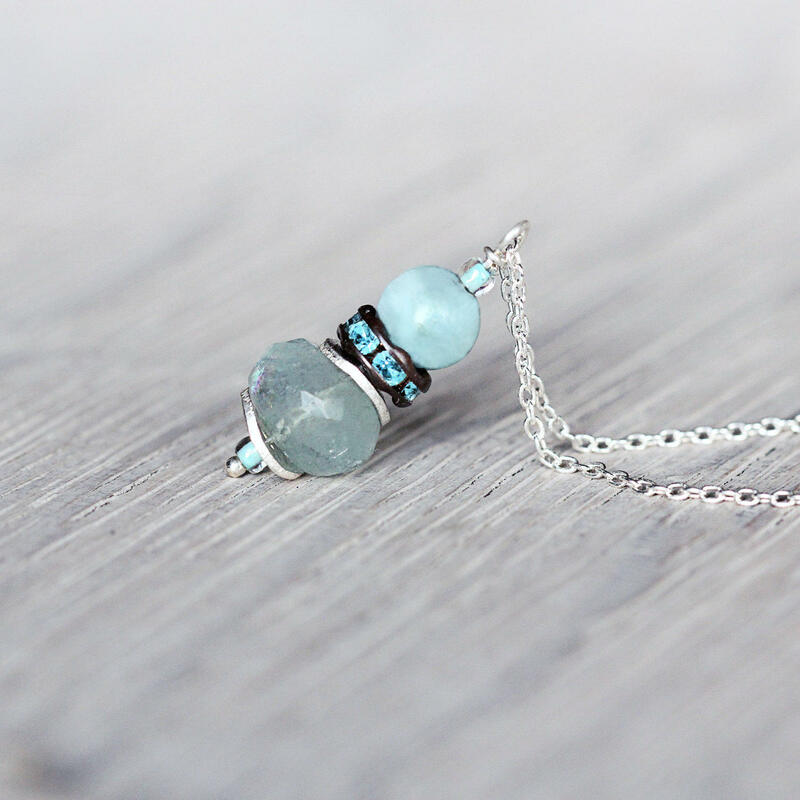 This lovely gemstone necklace makes a perfect gift for a loved one - for mom, sister, girlfriend, wife or friend - for any occasion such as a birthday, a graduation, an anniversary, Christmas, or Valentines Day gift. 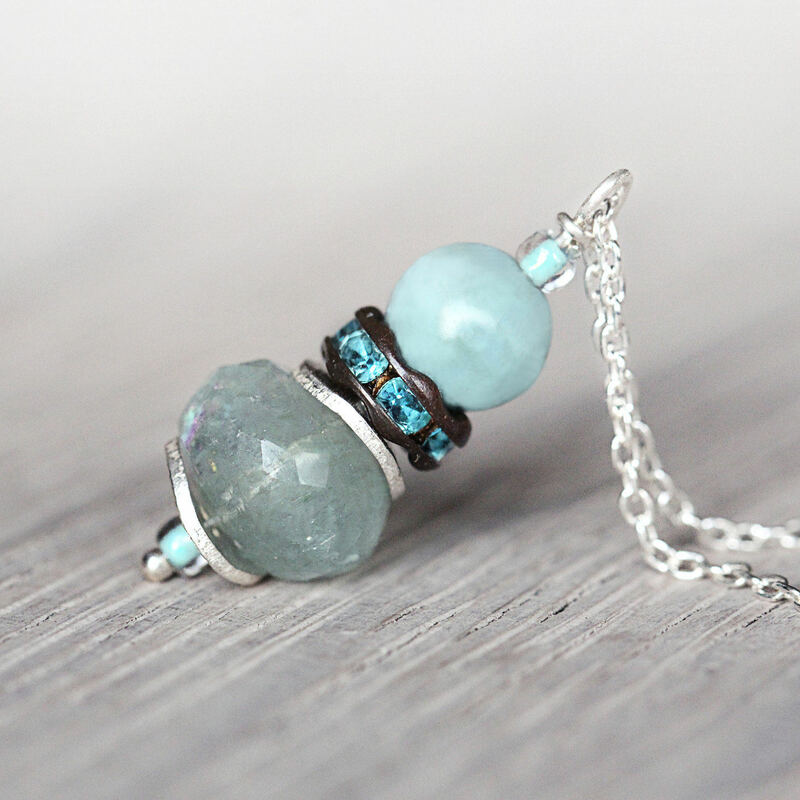 Ideal for those who love nature, gemstones, and the the sea! * Pendant drop is approx 2 cm.